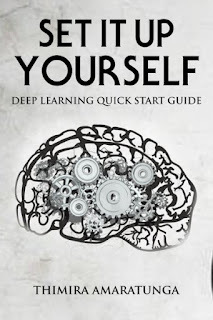 Codes of Interest: Can the LeNet model handle Face Recognition? 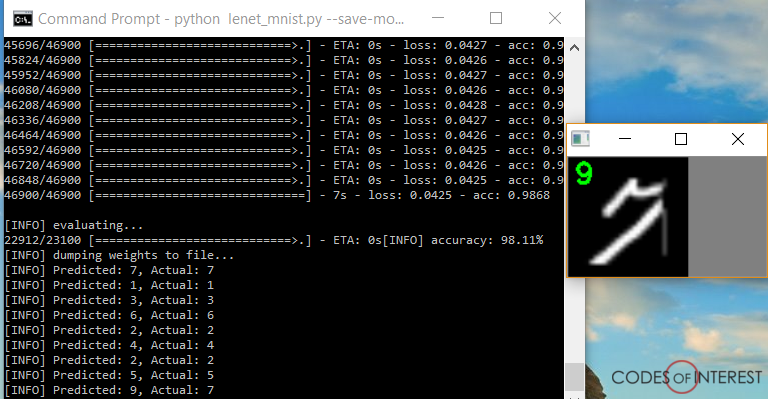 I recently followed a blog post - at PyImageSearch by Adrian Rosebrock - on using the LeNet Convolutional Neural Network model on the MNIST dataset - i.e. use for handwritten digit recognition - using Keras with Theano backend. I was able to easily try it out thanks to the very detailed and well thought out guide. The LeNet model itself is quite simple, just 5 layers. 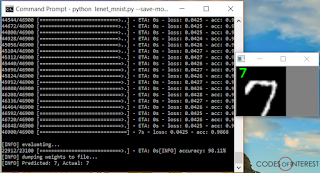 Yet it performs impressively well on the MNIST dataset. 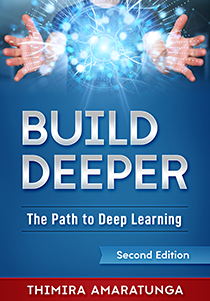 We can get around 98% accuracy with just 20 iterations of training with ease. The training time for the model is also quite low. I tested on my MSI GE60 2PF Apache Pro laptop with CUDA enabled, and the training time was just 2 minutes 20 seconds on average. On CPU only (with CUDA disabled) it took around 30 minutes. 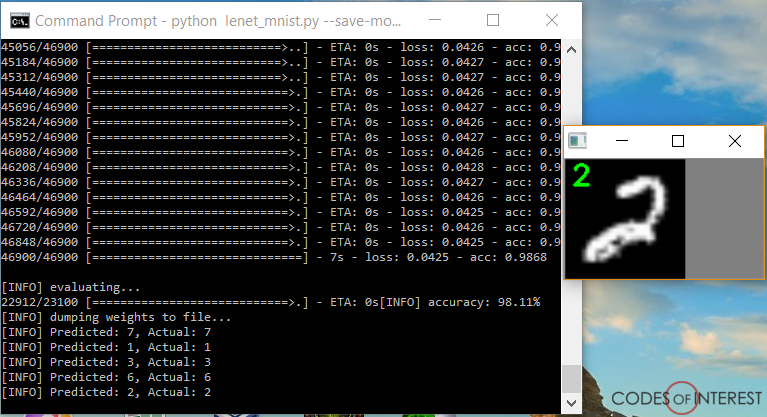 As you can see, we got 98.11% accuracy, and it has correctly classified a digit that has been cut-off. It even classifies a quite deformed '2' correctly. Note: I had to run the test many, many times to get it to mis-classify this one. 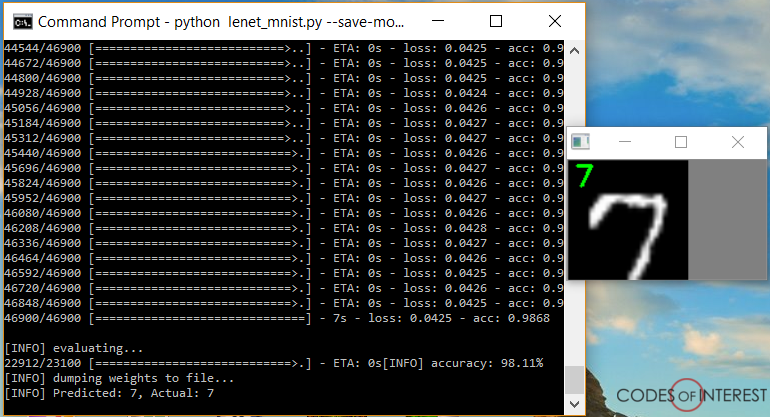 With this amount of accuracy, LeNet - one of the smallest convolutional neural network models - shows the power of Deep Learning algorithms. So, I was wondering how LeNet would perform with a more complex task - Face Recognition, using raw pixel intensities of face images. I got 99.74% accuracy, which is astonishing. 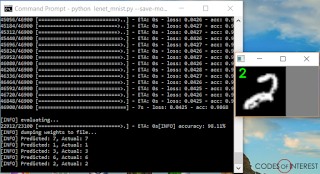 It turns out the simple model of LeNet can be used for much more. 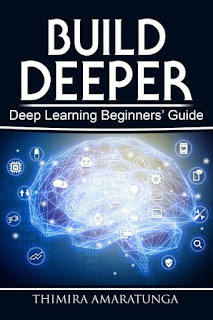 I will dive into the code I used to get LeNet to work on face recognition in my next post. 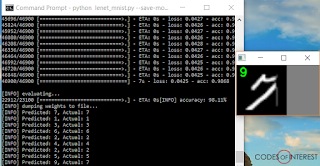 Update: I've added a new post - Getting the LeNet model working with Face Recognition - describing the step-by-step code I used to get LeNet working with Face Recognition.